Twisters are magical boats to sail. Light on the helm, close winded and relatively fast. They are generally much loved by their owners who tend to own them for many years and lavish considerable sums on maintenance and improvements. The most common reason for sale is 'advancing years' on the part of the owner. See what Twisters are currently for sale. You can now list your Twister for sale (NB, a charge applies) by using our online sales listing form. If you're looking for equipment for sale then try looking on our dicussion board. The first Twisters were all built in wood and there were variations in that whilst nearly all had straight coachroofs, a few had a low doghouse. Most have stood the test of time very well and the traditional wooden interior has an atmosphere that is quite special. 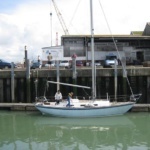 If you are thinking of buying then the best advice is to engage a surveyor who specialises in wooden yachts. All the mouldings were made by the Tyler Boat Company. Tyler’s were one of the pioneers of GRP construction and very well regarded in their field. Tylers hulls do not seem to have been particularly prone to osmosis and only one really bad case has ever come to our notice. But do remember that any surveyor, being mindful of his indemnity insurance, will probably manage to find some trace somewhere! The majority of boats will have been epoxied by now anyway. Whilst the hull and deck mouldings are particularly robust occasional problems have occurred with rudders either where water has got in or where there may be signs of the two halves of the moulding separating in the area of the stock.. Both problems are soluble rather than terminal! 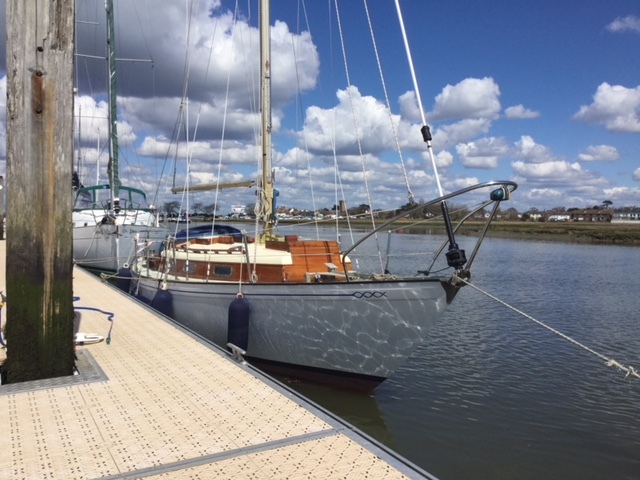 The original Uphams completed yachts utilised a very adequate deck mounted fabricated steel mast step to span the two main bulkheads and spread the load. A few home builders and professional yards underestimated the loads involved and did not make adequate provision. Most should have been sorted by now but if there isn’t an adequate looking mast step check for deformation. Composite yachts, where the coachroof and cockpit were constructed in timber, are arguably the best looking but they need to be maintained. Check for signs of leakage which if left will lead to rot and expensive repairs. Twisters are light on the helm and will, with the helm lashed, ably sail themselves to windward. 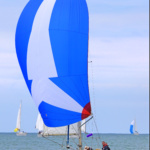 The long keel means that they maintain their track without continuous effort on the helm and they are well-suited for both vane and electric self-steering. Most early Twisters were fitted with petrol engines (no problem if properly maintained and operated) but all have since been re-powered with diesels in the 10-20hp range. Original gas installations with the bottle in the galley locker are a no-no as far as insurers are concerned and again most boats have been retro-fitted to acceptable standards. We'll be listing Twisters for sale on this page, so check back regularly to see what's available. You are welcome to join the Association before you actually purchase your Twister. The [Members only] Archive is interesting reading. Mermaid is a British Registered Ship built in 1966 by Uphams . Tyler hull with wooden coachroof and cockpit. 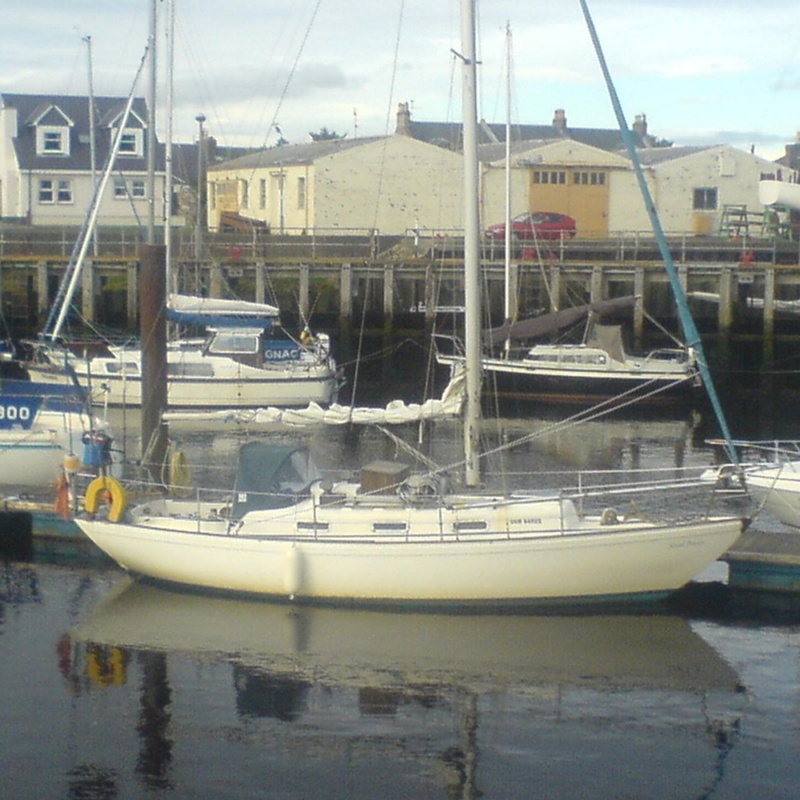 She was the charter boat for HMS Excellent and I have owned her since 1990. 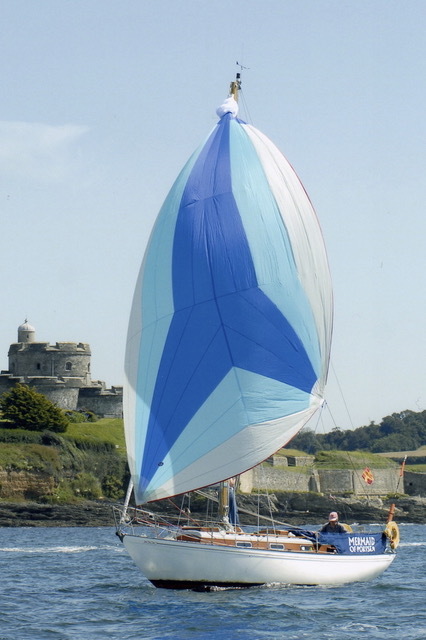 She was an exhibit at the International Festival of The Sea in 2000 and took part in the Round Britain Rally, from Portsmouth to Portsmouth via Dover, Lowestoft, Amble, Leith,Buckie, Craobh Haven, Conwy, Howth,Falmouth,Portsmouth. Since moving to Cornwall in 2003 she has sailed less than 1000 miles. 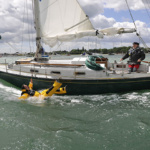 The death of my wife and current health issues meant she was only sailed twice last year. All GRP Version that was the London Boat Show boat in 1980. 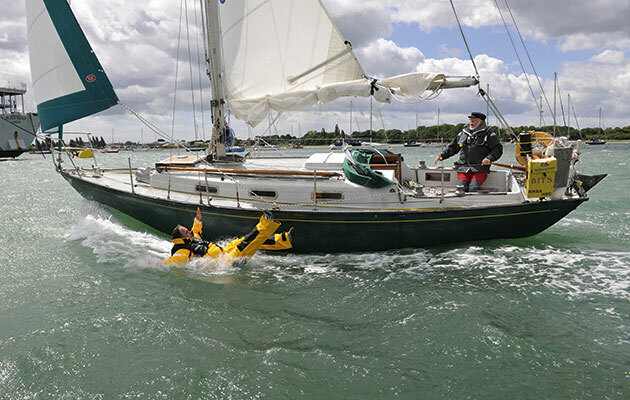 (fitted out by Capistrano boats) sails all very good condition, recently professionally serviced. Hull is original gelcoat (could do with a polish and repaint of cove line) Selden Furlex furling gear. BITS is a mark IIA Twister 28. built in late 70's and launched in 1981. She has been widely sailed in North Atlantic and N.Sea. 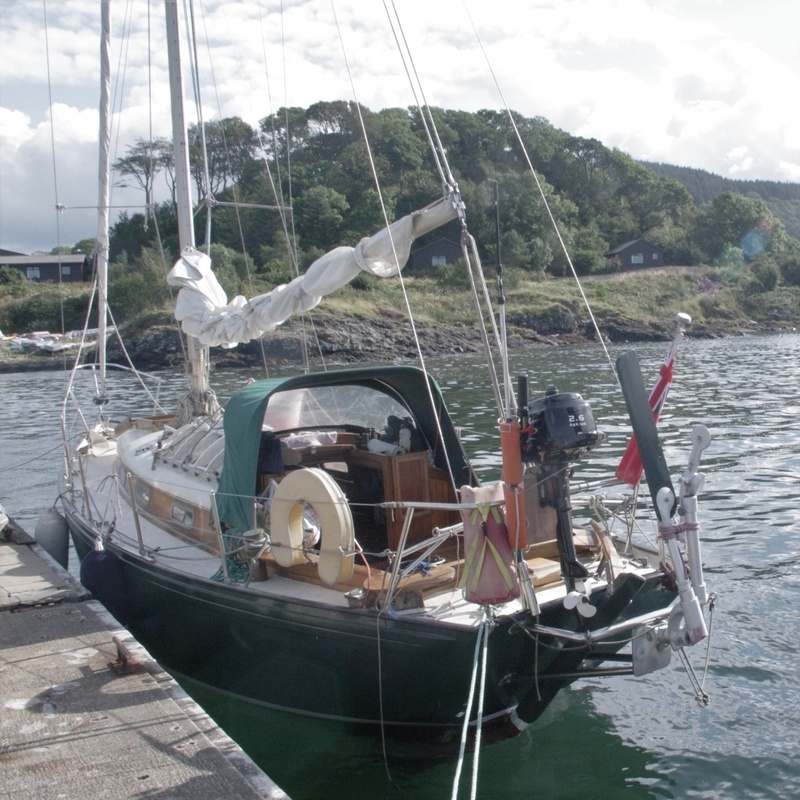 She is rigged for short handed sailing (Cape Horn windvane) and has recently benefitted from a new engine, sterngear and headsail. In good order and fully maintained, the hull is coppercoated and topsides recently painted. Helix is a Twister 28 with Pedigree. She was commissioned in 1967 for Clement Attee (former prime minister) Nephew with a special rig. the tallest mast of any twister to race from Gravesend to the Tower of London. this race is still held every year and called the Helix Trophy race. In 2009 she had improvements such as a new engine and uprated standing rigging to participate in the Jestore Challenge to the Azores. She has recently had works carried out on her and is in good order. 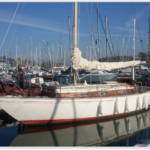 She would suite an owner who would like to perhaps compete her in classic raceing with her 3/4 fractional rig and tall mast with jumper stays and much increased main sail area. She is absolutely sound in terms of decks and coach roof. she has a very good yanmar 2ym15 engine. she has new running rigging and lewmar two speed winches. 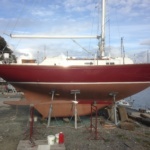 She is currently on the water and in commission. she will benefit from further improvements but is in good overall condition. 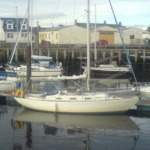 she has three headsails and a furler currently not fitted. she has a cruising chute and a full spinnaker with snuffler. 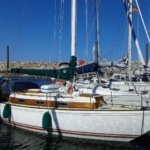 she is a superb boat that will suite both cruising and classic racing. She comes with a Haslar SP2 Wind vain and a Vulcan 7 chartplotter. I am looking for a new custodian for Desert Air. She is probably one of the youngest Twisters on the fleet, having her build completion and launch in 1997 and probably the least used Twister, having only had 8 seasons of use in total. Desert Air was built from the final series of Tyler Tuf Glass moulds and features the large forward chain locker and twin gas bottle stowage in the rear lockers with through-hull drainage. 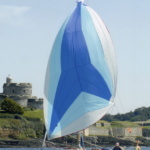 Ondine of Dorset is an all-glass fibre Twister Mark 2. I have owned her since 1999 and cruised France, the Channel Islands and North Spain. She is fully equipped for comfortable cruising yet is still a fast boat coming 3rd in the IRC rated Division 8 in the 2017 Round the Island Race [the photograph was taken during the race] and 7th overall. I am selling as I am unable to sail any more. 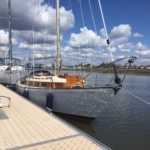 For further information or a viewing please contact my Broker: Alex Bardock of Harbour Yachts. An all GRP Twister (Tylers of Tonbridge, 1978). New engine 2006. All rigging replaced over last 10 years. Classic interior (deck and deckhead). Cruised to S,E and N. Ireland, W. Coast Scotland as far as Orkneys. Owned and Maintained last 17yrs by current owners. Pandore - Tylers moulded hull, hull moulding number 28P75, fitted out by Uphams of Brixham 1970. White hull, cream coach roof teak brightwork and cabins. British Registered 338736. Same family ownership since new. Hull was reinforced to take beaching legs when built, (legs never used) Always winterised ashore under heavy duty winter cover, engine annually winterised and serviced by yard. New standing rigging 2018. New cockpit boom tent and spray hood 2018. Full summer cover covering cockpit to fore hatch. New Baby Blake toilet discharge unit 2018. 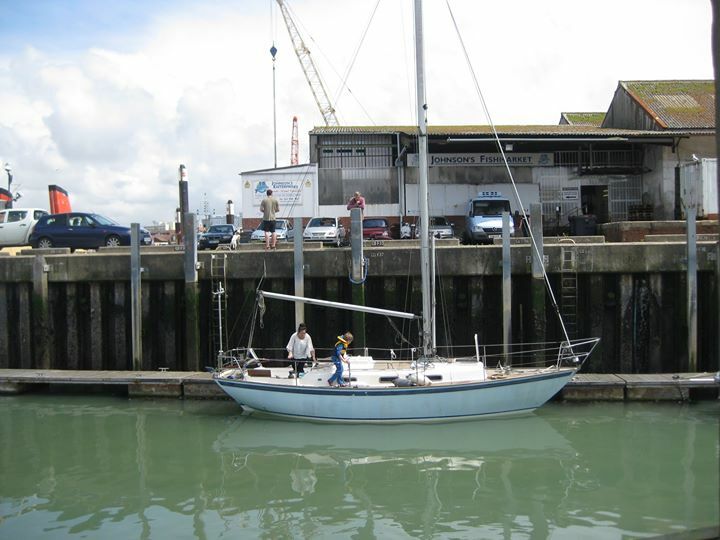 Pandore is well maintained lying ashore Yarmouth Isle of Wight. Internal and external photographs available. 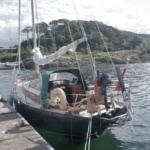 Ashore under tarpaulins since 2012 at Ardoran Marine, Lerags, Oban. Annually maintained. 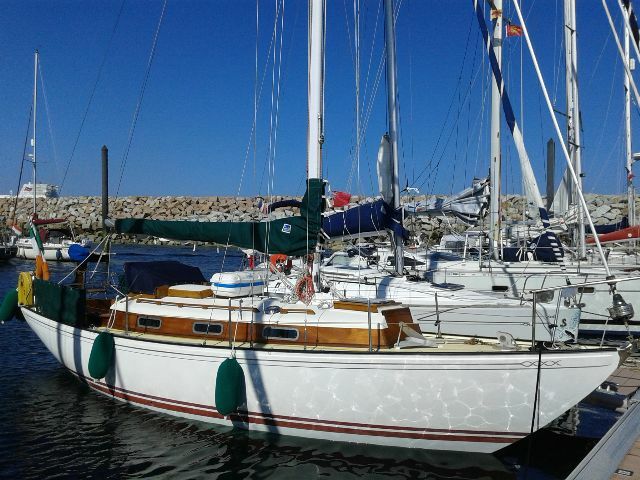 A vendre, cause départ, CONUNDRUM, Twister 28. Plan Holman et Pye de 1967. Marin et bon marcheur, réputé outre-Manche. Coque polyester, roof et cockpit bois. Bien équipé et bien entretenu. Hivernage sous hangar. Visible 29 Nord. Contact par mail pour plus de renseignements. 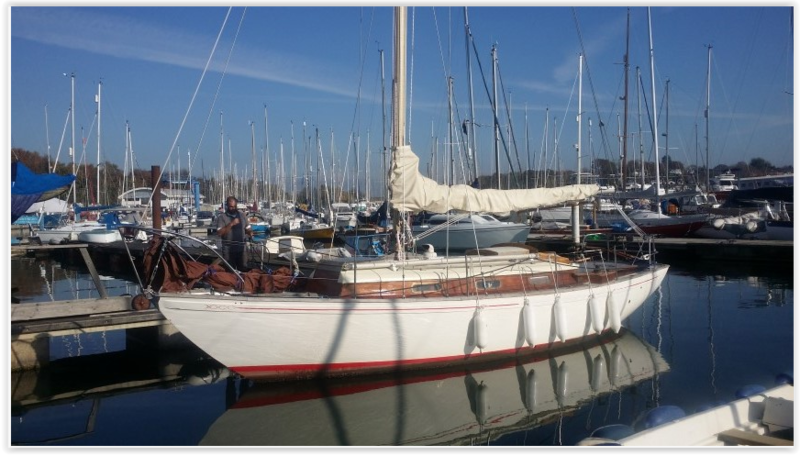 [Very free translation: Marin le Mee is leaving France to live in New Caledonia so Conundrum is for sale - she is composite - well equipped and well looked after - well regarded in the Outer Channel area - stored under cover in winter - contact Marin for more details. Please note that I am no Broker but if translation is needed I'm very happy to help. Peter Mulville - Hon. Sec].